YOU HAVE CHOSEN A WILLHELM GRILL. Please read this manual carefully. It contains important hints and tips to help you set up and operate the grill. SO YOU TOO CAN BECOME A MASTER OF FIRE. Thank you very much for choosing Willhelm Grill.  Willhelm Technologies GmbH hereby guarantees to the first owner that the charcoal grill is free of material or manufacturing defects. The warranty program applies to the original buyer of the grill and is not transferable to later owners. It applies to normal use in a single private household. The above warranty program only applies if the owner handles the product with reasonable care and if the grill is assembled and operated in accordance with the instructions supplied with the grill. Failure to follow the instructions will void the warranty. Read the instruction manual carefully before use and observe all instructions contained therein. If you have mislaid or lost the instruction manual, you can download a replacement copy from www.willhelmgrill.com. Willhelm Technologies GmbH is entitled to demand proof of the date of purchase. Keep the proof of purchase or the invoice. This warranty is limited to the repair or replacement of parts which, under normal use and service, have been found to be defective after inspection by Willhelm Technologies GmbH. Contact your local dealer before sending in any parts. General contact information can be found on our website. If Willhelm Technologies GmbH confirms the defect and acknowledges your claims, Willhelm Technologies GmbH will replace or repair such parts free of charge. If you are asked to send in defective parts, the freight charges are to be paid in advance by the sender. Willhelm Technologies GmbH returns parts to the buyer and pays the freight or postal charges in advance. No warranties other than those set forth herein are expressly made or implied. This warranty applies only to products sold in retail stores or through authorized distributors. You (as user and/or owner) bear the risk and liability for loss, damage or injury of yourself and your property and/or others and their property in connection with misuse of the product or failure to follow the instructions provided by Willhelm Technologies GmbH in the instructions for use supplied. Willhelm Technologies GmbH is not liable for any special, indirect or consequential damages. Under no circumstances shall compensation of any kind under this warranty program exceed the amount of the purchase price of the product sold. For parts and accessories replaced under the warranty program, only the remaining terms of the above original warranty shall apply. Willhelm Technologies GmbH reserves the right to change the design of the products from time to time. It is expressly not part of this warranty program to integrate design changes into products manufactured at an earlier point in time. Furthermore, changes to the design are not an admission that earlier designs were defective. 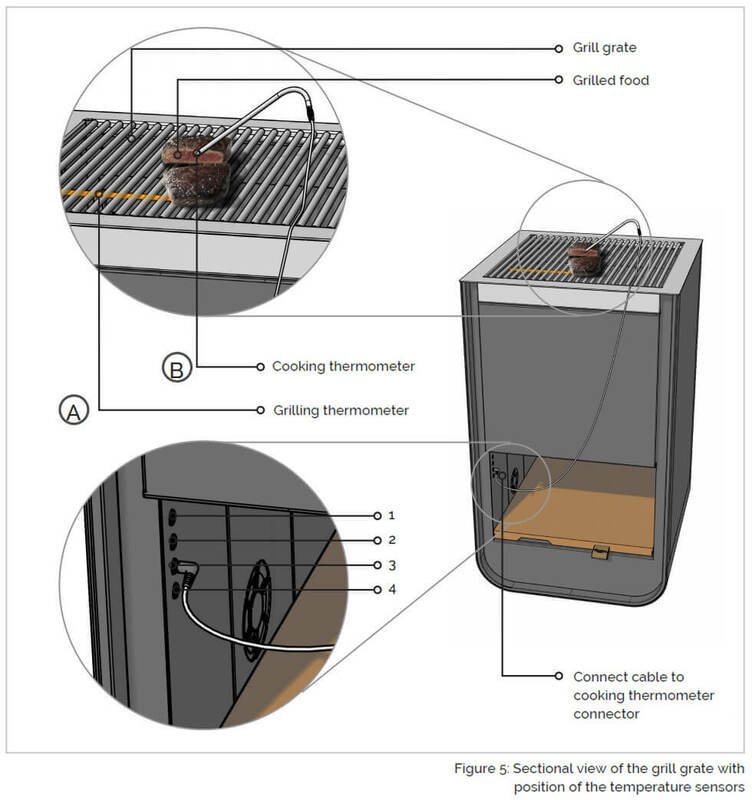 The following illustrations show you the grill with all its parts and controls. ATTENTION! The grill has a high weight of 83 kg. Only use a sufficiently stable transport base. When transporting with a pallet truck or a suitable sack truck, the grill must be secured accordingly. Under certain circumstances a second person may be required for transport. 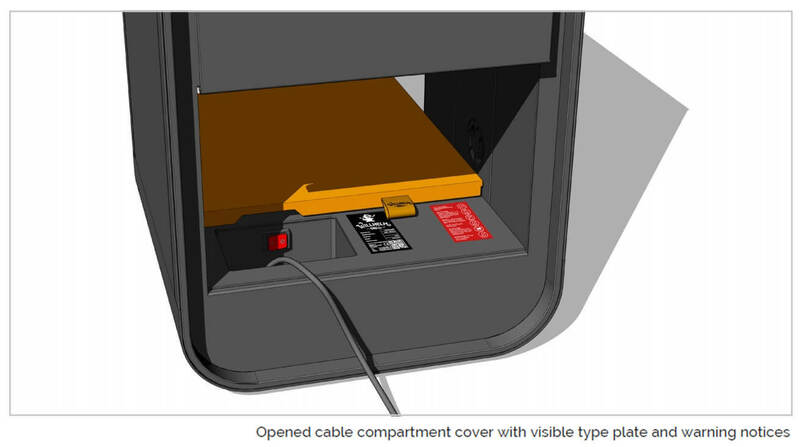 Before transport, the cover of the cable compartment must be secured against slipping. Loose grill parts (grill grates, embers) must be removed from the grill before transport. You can protect your barbecue during transport by attaching the edge protector to the lower base both at the front and at the rear. The grill is equipped with two removable wheels. The grill must be lifted slightly on the front side to attach the wheels. Make sure that the barbecue does not fall over due to the changed centre of gravity. During transport, the wheels carry the complete grill weight. Avoid rolling over objects or body parts. When attaching the wheels, make sure that they are seated correctly. These must be firmly seated in the opening provided for this purpose. 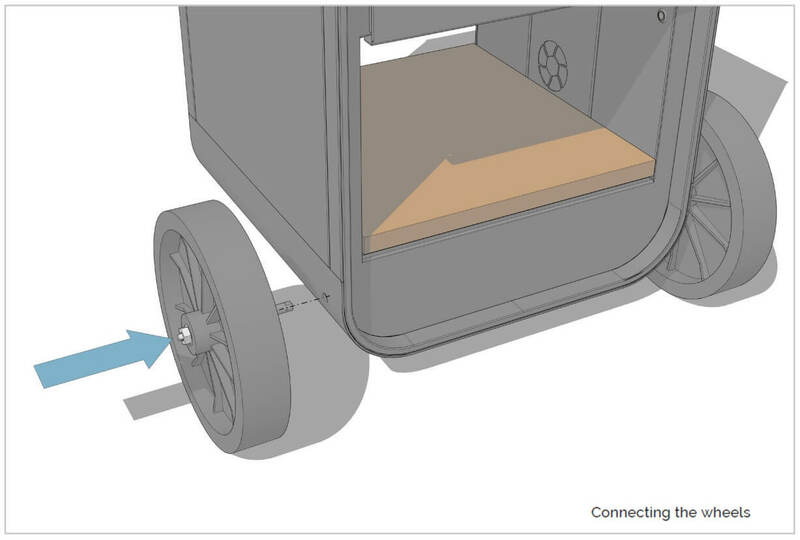 To do this, guide the wheel with its axle into the intended opening until it clicks. Check that the wheel is correctly engaged by checking that it is not possible to pull the axle out without pressing the release button. When you have placed and aligned your grill, remove the wheels before the next use! To do this, unload the wheels and pull off the wheels while pressing the unlock button. Make sure that the location for the grill is stable and has sufficient load-bearing capacity. The surface must be non-slip and level (tiles, paving, compacted gravel, meadow). Loose surfaces such as sand or soil are unsuitable. The slope of the substrate must not be greater than 5%. Through the door you get into the inside (the combustion chamber) of the grill. You can open the door by pulling hard on the right side. You can close it again by pressing the button. When closed, it lies flat against the front. By sliding the wooden cable compartment cover you can access the cable compartment, which is located on the back of the grill. In the cable compartment is the main switch and the cable with the mains plug. Ensure that the power is properly connected before operating the grill. Sliding the cable compartment cover may result in crushing. 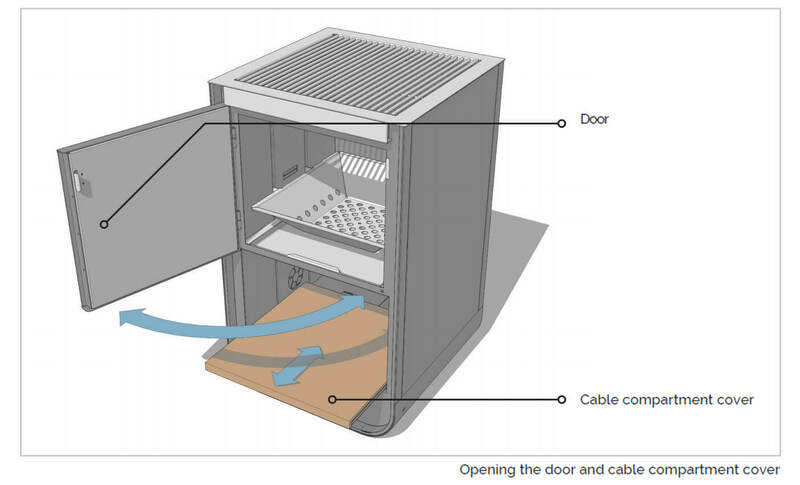 Before sliding the cable compartment cover, make sure that no objects or body parts of other people can be crushed. When installing accessories, make sure that there are sharp edges on the stainless steel. There is a danger of cuts! The ash pan must lie correctly on the floor of the combustion chamber. 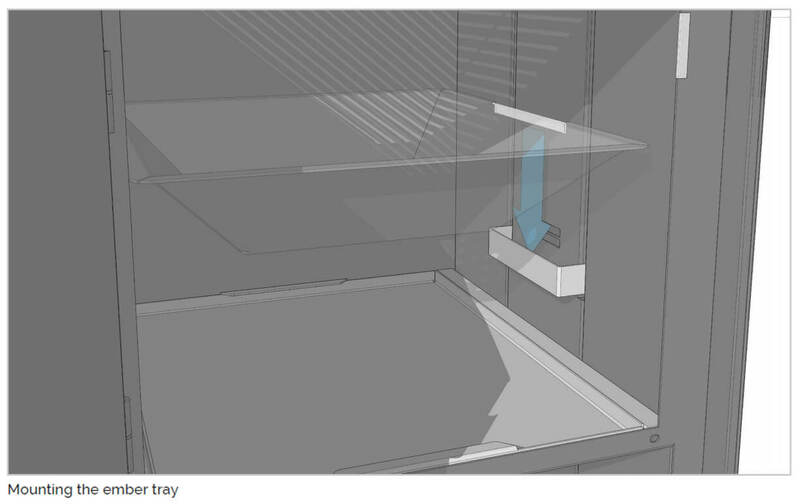 The embers tray can be removed, when reinstalling make sure that both angles of the embers tray are correctly hung in the support straps on the left and right. The control and regulation function of the grill can only be guaranteed with a suspended embers tray. When installing and removing the grill grates, make sure that they do not fall into the combustion chamber and that they do not touch, bend or damage the temperature sensor. ATTENTION! The glowing trough and the grill grates have a high weight due to their stable construction. There is a danger of crushing. Before using the grill, you must remove all the protective films from the grill, i.e. from the grate support, from the embers tray, from the ash tray, from the combustion chamber and from the outside surfaces. These have protected your grill during production and transport. The foils are not heat-resistant and must be removed before the first heat-up of the grill. If the foil remains on the grill, poisonous gases can be produced due to the high heat. The foil can also burn into the coating and lead to irreparable defects in the coating. Only the two stickers on the cable compartment cover (black type plate and red safety instructions) must remain on the grill. These are located in a thermally safe area. Your new Willhelm Grill is a sensor controlled charcoal grill. So that you can use it as a smart grill you need the Willhelmgrill App. With this app you can make all settings on the grill and control it. With the following steps you become the "ruler of fire“. Download the app from the App/Play Store and open it. (Bluetooth connections, push messages, camera, location). Create a login for yourself (figure1). Register and use the app at Willhelm Grill (figure2). The barbecue screen displays the available barbecues in a list the first time you use it. Select your barbecue from the list and connect to it. For this your grill must be switched on. If you don't see your barbecue you have to update the list first. In order to be able to use all functions of the Smartgrill, the last step is to release the grill in the local network. For this you have to have your W-LAN key ready. The grill thermometer (figure5: A) measures the temperature directly on the grill. It is firmly installed. The cooking thermometers (figure5: B) must be plugged in separately at the provided slots. 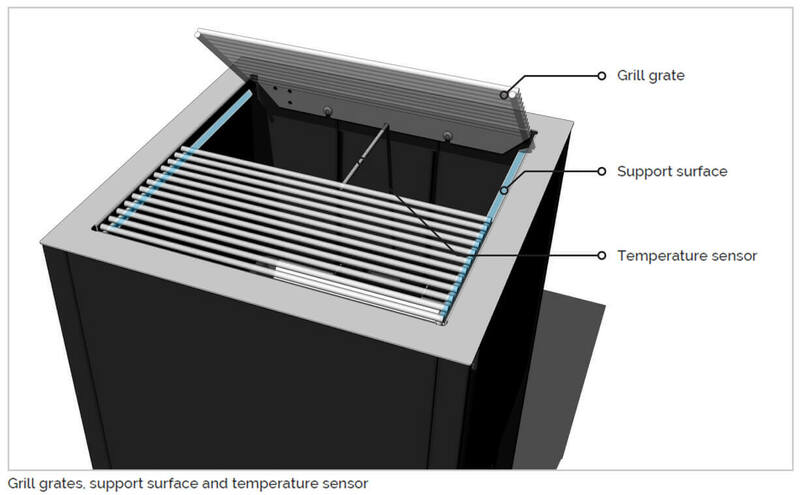 You put the sensor point into your grill property, so that the sensor point is approximately in the middle. So you can measure the core temperature with the sensor tip. This indicates the degree of cooking depending on the type of food being cooked. The four slots for the cooking thermometers can be found on the back of the grill. The upper one is assigned the cooking thermometer 1 in your app. The ones below are two, three and four respectively. You can adjust the controls of your grill to your preferences. There are several possibilities. 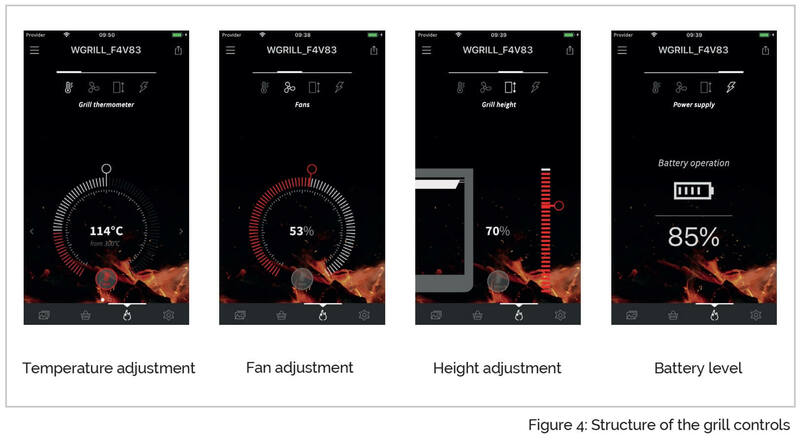 possibility: The manual control of the grill parameters.You can directly regulate the height and the ventilation in the two tabs. In the tab Temperature you can easily read the temperatures or see how they change. In other words, if you raise the embers tray and set the fan to full power, your embers are close to the grill and are blown from below, which usually leads to an increase in the grill temperature. possibility: The control over the auto mode.You can activate this mode in the tab temperature control. If the mode is active you can define a target temperature of the grill thermometer by moving the pointer with the white circle. The grill then automatically adjusts its settings so that the target temperature is reached as quickly as possible. The current temperature will continue to be displayed above the red area of the scale. Before you can use the grill to prepare your food, you must first heat it up (in two steps) without actually grilling it. He lets the engine warm up in peace. This is the only way he can demand full power. Before the first race, he drives the car so that driver and car can get used to each other. So use this "first familiarization" to explore the grill and the app to get really fit at the first Grillevent! The first heat-up ("warm running") has to be done slowly to ensure the release of tension in the material. Furthermore, a second heating at maximum temperature makes sense in order to ensure that all residues and traces from production are removed. Both times the heating takes place without putting on grill material. 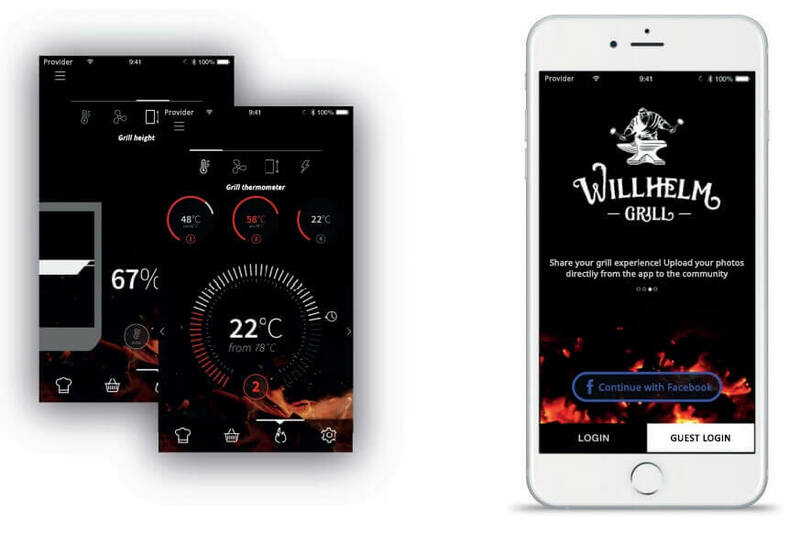 So that you can connect with your grill you need the Willhelm Grill App. Read the instructions for using the app and take a few minutes. Plan for the first heating-up. Fill the fire pan half full with coal so that the perforated bottom of the fire pan is covered. After installing the app and connecting to the grill, light the charcoal. Let the charcoal burn and cool the grill completely. Empty the embers and ash pan. Fill the fire pan with coal. After you have connected to the grill, light the charcoal. Let the charcoal burn and cool the grill completely. Empty the embers and ash pan. The grill is now ready for use and can be used without hesitation for the preparation of barbecue food. You may only fill the embers tray to a maximum extent that no charcoal protrudes over the edge of the embers tray. The embers tray may only be "painted full" at the most. SWITCH IT ON - Before putting the barbecue into operation, ensure that the barbecue is supplied with power and operate the main switch of the barbecue. This is located in the cable compartment in the grill base. This is achieved by moving the lower wooden shelf forwards. Switch the main switch in the cable compartment on ( I ), the power supply of the grill is ensured. The on/off button can be pressed by pressing it briefly once. The button indicates the start up and the operating status of the barbecue via its illuminated ring. 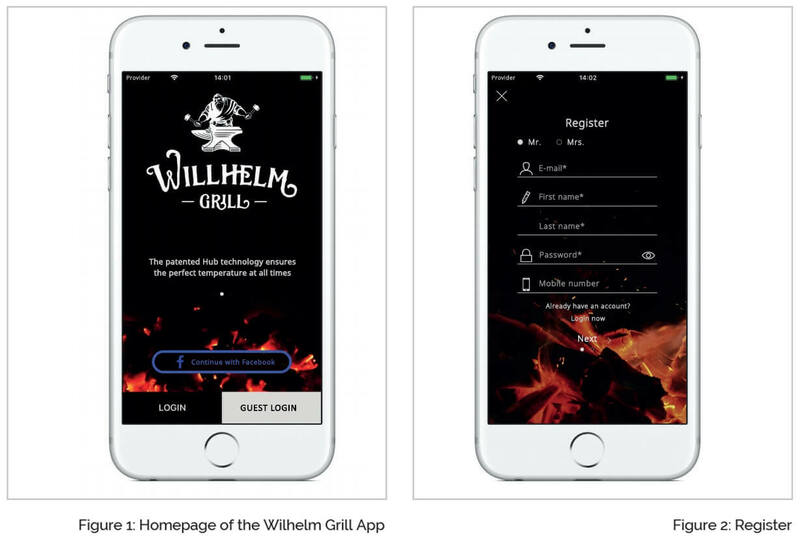 START THE WILLHELM GRILL APP AND REGISTER - see also notes on use App. CONNECT - see also Grill instructions for use. IGNITE - Use an ignition aid suitable for ignition and observe the safety instructions on it (apply liquid ignition aids and allow to take effect, position solid ignition aids centrally in the embers under the fuel). Now ignite the fuel and ignition additive. Do not place ignition additives in an already ignited embers tray, keep ignition additives at a safe distance. During operation, no flammable objects are to be stored in the lower compartment of the grill. GRILL - See also Grill instructions for use. Touch the food only with a suitable tool (grill tongs or similar). Observe instructions on packs of the substances used. If the grill does not respond to the instructions on the app, turn the grill off and on again after 5 seconds, restart the app. Switch off - After using the grill, switch it off! This is done by briefly pressing the On/Off button once. The slow flashing of the light ring indicates that the barbecue has been shut down. This can take up to 5 seconds. The power supply must be ensured and not interrupted during start-up, operation of the grill and during shutdown. Make sure that the battery is sufficiently charged. Too low a battery charge may affect the functioning of the barbecue. Autarkic with the large battery. It must be charged. A charging indicator can be called up via the app. With connection to the mains via the mains plug. This is possible with any equipment variant. A very fast flashing of the light ring on the on/off button indicates a low battery charge status, and a message is also sent via the app. In this case, connect the grill to the mains via the mains plug. Otherwise the grill switches off automatically after a few minutes. When grilling, make sure that no liquid enters the openings of the grill. (Air outlets, cable compartment). Do NOT extinguish flames from the embers or the inside of the grill or on the grill grate by pouring or spraying liquids in! This can irreparably damage the electronics of the grill. Keep distance! Do not bend over the grill. Do not store objects and things made of combustible materials or containers containing combustible materials near the grill. It is best to clean the grill while still warm with a suitable brush (stainless steel wire brushes are not suitable). You can leave the gratings installed for this purpose. Only clean the grill when it has cooled down. Open the door and first remove the embers tray, then the ash tray. You can dispose of the residues in your household waste (residual waste). For cleaning the visible surfaces in and on the grill, please use a damp cloth and commercially available rinsing and cleaning agents. Check at a hidden inconspicuous place whether your grill tolerates this agent. DO NOT use the following products: oven cleaner, scouring milk, etc. When cleaning coated surfaces, be careful not to scratch the surface with hard sponges/cloths or hard particles in soft sponges/cloths. Before cleaning the grill, make sure that the mains plug is not plugged in and that the main switch in the cable compartment is set to OFF. If, contrary to expectations, you notice damage to the cable compartment or its cover, please do not try to repair it yourself. Contact your dealer or Willhelm Technologies. Do not under any circumstances put the grill back into operation on your own. The cover of the cable compartment is sealed under the board with a seal which is not visible during normal use. Destroying the cable compartment seals will void the warranty and guarantee. READ ALL THE SAFETY INSTRUCTIONS IN THIS MANUAL. Failure to observe the hazard statements, warnings and precautions contained in this manual may result in serious or fatal injury or property damage due to fire or explosion. Do not use in closed rooms. This grill may only be used outdoors. Otherwise toxic fumes will accumulate which can lead to serious or even fatal injuries. Only use this grill outdoors in a well-ventilated place. Do not use the grill in a garage, in a building, in passageways, between buildings, or in any other converted location. Never operate the grill under flammable roofs, shelters, etc. Only use this grill at a distance of at least 1.5m from combustible materials. Combustible materials include (but are not limited to) wood, treated wooden floors, wooden terraces and wooden porches. ATTENTION: Do not use the grill indoors, in tents, caravans, vehicles or in confined spaces. This can lead to carbon monoxide poisoning. Always place the grill on a stable, level surface. Improper installation can cause hazards. Please follow the installation instructions in this manual. Do not use this grill until all parts have been properly assembled. Before lighting the grill, make sure that the embers tray and ash container have been properly inserted. Always put the charcoal in the embers tray. Do not fill it beyond the top edge (see diagram on page 17). No coal mountain may look out of the furnace. Do not place the charcoal directly on the ash pan or the bottom of the combustion chamber. 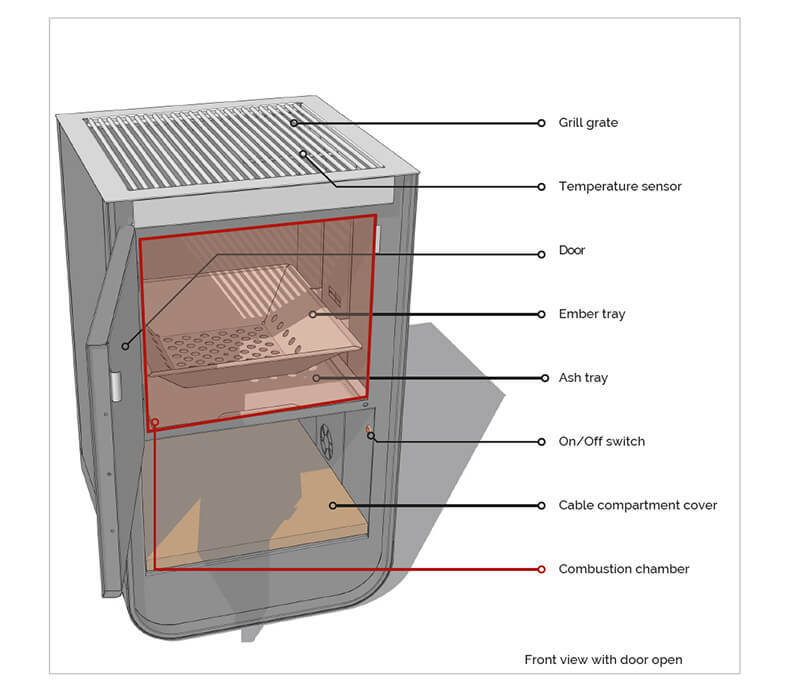 The cable compartment must be kept closed during grilling. Do not wear clothes with loose flying sleeves while lighting or using the grill. Do not use spirit or petrol for lighting or relighting! Only use ignition aids according to EN 1860-3! Do not apply ignition liquid or charcoal impregnated with ignition liquid to hot or warm charcoal. Seal the ignition liquid after use and place it at a safe distance from the grill. Do not use petrol, alcohol or highly flammable liquids to light the charcoal. Before lighting the charcoal, remove all liquids that have drained through the holes in the embers tray if you have used lighting liquid for the charcoal. Take appropriate care when handling the grill. The grill heats up when you grill it. Never leave the grill unattended during use. CAUTION! Keep children and pets away. Do not leave infants, children and pets near a hot barbecue without supervision. This grill will get very hot and must not be moved during operation! Wait until the grill has cooled down completely before transporting it. Never dispose of hot ash or burning briquettes. There is a risk of fire. Do not empty the embers until the charcoal has been completely burnt and extinguished and the grill has cooled down. 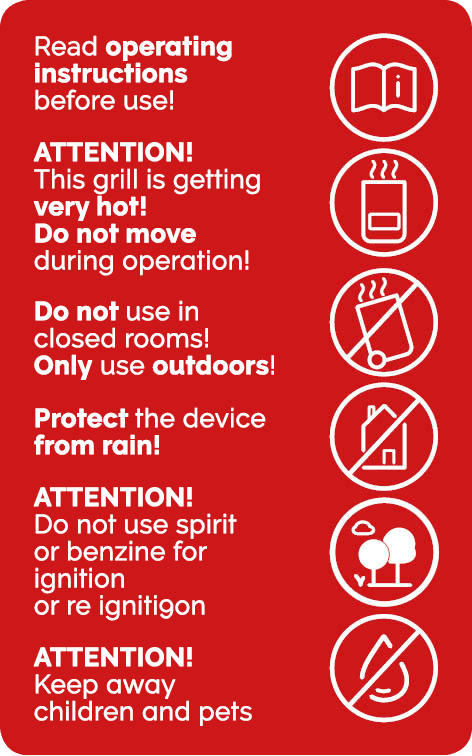 Do not use the grill in strong winds or in the rain. The grill must always be covered or stored when it is raining. Never try by touching the grill or grill grate, ash or charcoal whether they are warm. The extinguishing of flash flames or embers must not be carried out by pouring liquids in. 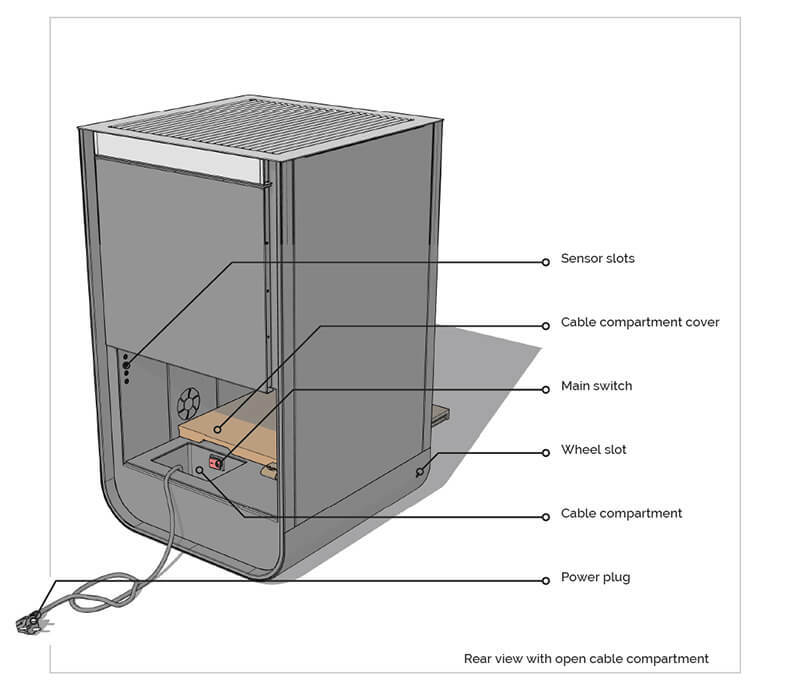 The cable compartment must always be kept closed. It must only be opened for removal and storage of the mains cable. It must then be closed again. Switch off the grill after grilling. You should always wear grill gloves when preparing food, adding charcoal and handling the thermometer. Use the right barbecue utensils with long, heat-resistant handles. Keep the grills free of flammable gases and liquids (e.g. fuel, alcohol, etc.) and other flammable materials. When using an electric ignition aid, always observe the enclosed operating instructions. Keep electric cables away from the hot areas of the barbecue and from heavily frequented areas. The consumption of alcohol and/or prescription or non-prescription drugs may impair the user's ability to properly assemble and safely operate the barbecue. This grill is not a heater and must not be used as a heater. The lining of the combustion chamber with aluminium foil or similar materials is prohibited. Do not use sharp objects to clean the grills or remove the ash. Otherwise the surface may be damaged. Do not use sharp cleaners on the grills or the grill. The surface can be damaged otherwise. The grill must be cleaned thoroughly on a regular basis. Do not operate the appliance if the power cord or plug is damaged. Only use suitable sockets or power extension cables. Sockets must be provided with a protective conductor and operated with alternating current at a voltage of 230 V / 50 Hz. We strongly recommend the use of a residual current protective device with a rated tripping current of max. 30 mA. The power cable must not be under tensile load during operation. The plug must not be pulled out of the socket at the cable. If you notice any damage to the cover of the cable compartment, the grill must no longer be used. Please contact our support team. Before each use, check all electronic components for visible damage. The cable or plug must be kept dry during operation and must never be submerged in water. The grill may only be operated under the described climatic conditions. The grill must not be cleaned with running water, the garden hose or the high-pressure cleaner! The most important instructions can be found on the red sticker on the grill.